I've come to realise that I make most of my fashion choices based on how things feel on my skin. My hypersensitivity/neurosis (a rose by any other name) guides me naturally towards flowing lines and soft fabrics. A touch of silk next to one's skin has proven to be nature's strongest antidepressant. To balance all this softness and flowy-ness, my feet are happiest encased in leather, with a tall heel underneath. As to jewellery, I can wear rings on all my fingers, but bracelets are a no-no - My arm looks and feels like it's cut in half, you know? (What do you mean, you don't?) I adore combining necklaces, pendants, chains and chokers - on someone else. 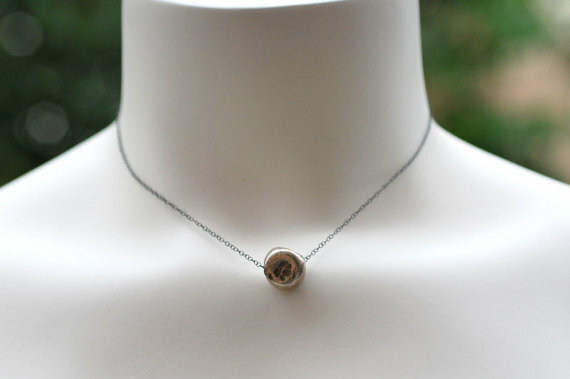 On me, large necklaces feel heavy and bounce awkwardly on my chest and I hate seeing shiny bits when I look down. And the clinking sound they make! On the other hand, tiny, fragile, dainty pieces look a bit funny on someone emphatically not tiny and dainty. 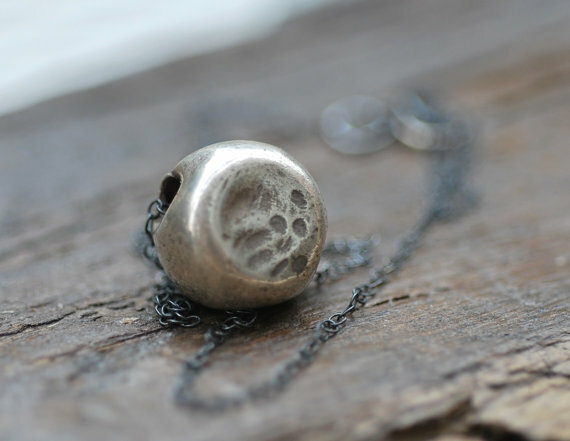 Or so I thought before falling in love with a very special, tiny bit of oxidized silver (by Andromedii, at Etsy). It has "random patterns on each of its wild yet soft triangular shape". Despite its shortish chain, it doesn't choke me. 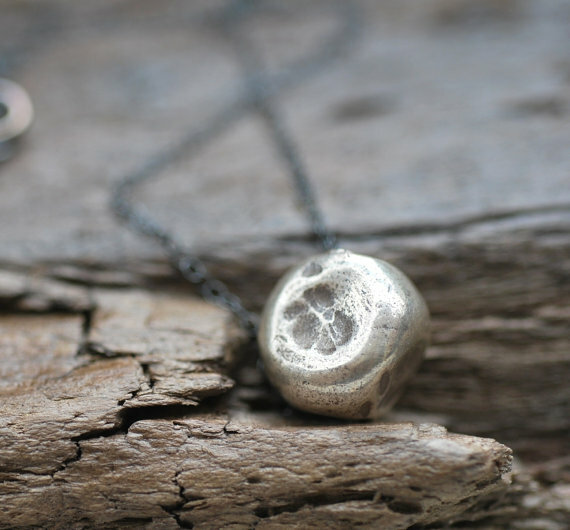 The hollow pendant swings and sits beautifully on my collarbone - and I can play with it when stressed. In short, I've found something to wear around my neck almost daily. It makes me feel a bit poetic, fragile even, and want to listen to this Sonic Youth song on repeat. What more could you ask from a piece of silver?